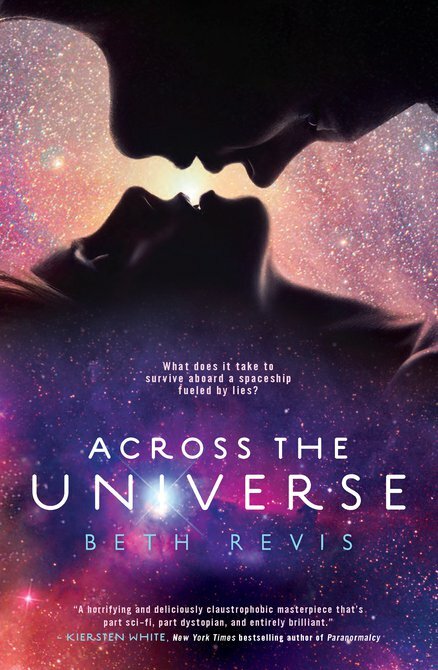 Across The Universe is Beth Revis's debut novel. It's part sci-fi, part dystopia, part murder mystery, and part awesome. The premise straight away had me hooked. People are frozen cryogenically to be thawed and settle on a new planet when they land, but our main character - Amy - is woken early in an attempted murder. Though I was nervous that the execution wouldn't live up to the premise, it exceeded it. The setting was vividly described and thoroughly planned out. The setting wasn't just the story's backdrop, but a major part of it. Living in the ship had a believable effect on everything and everyone inside it. The dystopian society was cleverly built, featuring completely different ethical priorities and hierarchies than the world we live in. With the perspective alternating between Amy (a newcomer on the ship) and Elder (who's lived on the ship his entire life), you get to see the Godspeed from both an insider and an outsiders point of view. Amy was thus easy to relate to, learning things about how her new world worked just as we, the readers, did. The secondary characters were also well written - especially Harley (God, I loved Harley). Their personalities were distinct (with the exception of the ship's thousands of drones) and compelling. Beth Revis also explored the gray area between good and bad in characters - showing that the good guys aren't all good and the bad guys aren't all bad. The romance between Amy and Elder felt like more a subplot. It was subtle and for a while at the beginning, one-sided, yet reading from each of their perspectives - getting inside both of their heads - it was clear they made a great couple. The plot focuses for a large amount of the book on both Amy and Elder uncovering the secrets and lies that the ship's system was built upon. The plot was fast-paced and never predictable, ending with a satisfying conclusion that still leaves room for sequels. Turning the last page of this book, all I could say was 'wow'. Across The Universe was a fast and captivating thriller. I give it a 5 out of 5.